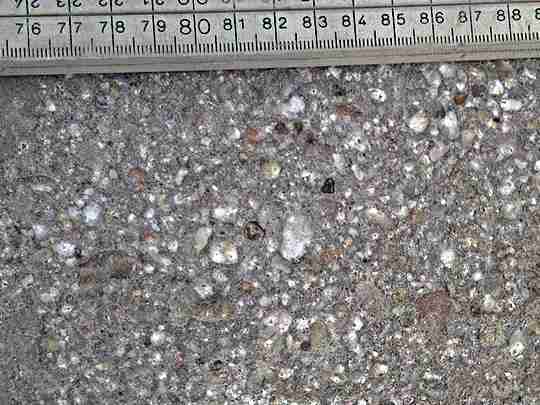 Concrete that has the surface textured with a bush hammer. 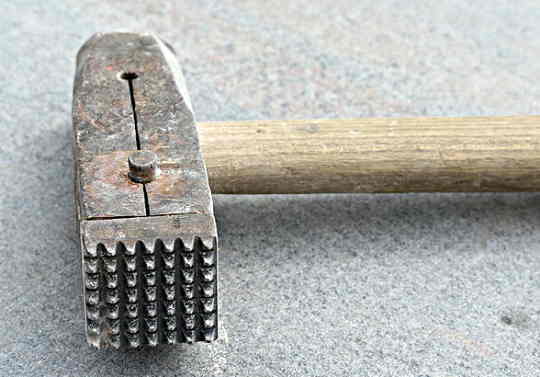 Bush hammering is still a decorative effect that is applied to stone surfaces, and for quite a while it was popular as a finish to concrete walls or feature panels. It is very labour intensive, even using the air operated hammers that are available. It is also very noisy and dusty and because of this I tend to think that for cast in-situ work it is being replaced by other easier methods of applying texture. Above is a hand hammer that has a replaceable cutting surface. 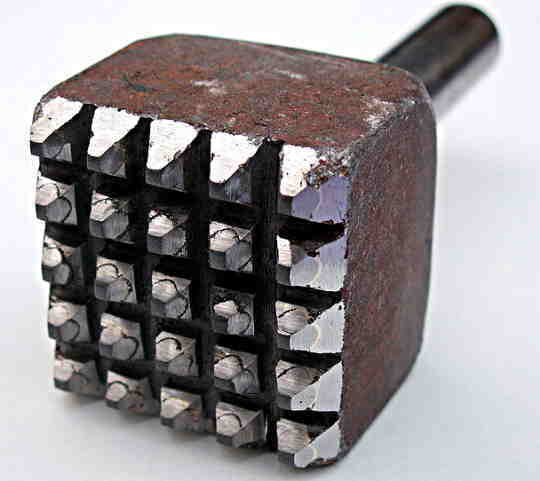 A replaceable cutter for a pneumatic machine.